Well the Italian stable gets larger. Newest addition. 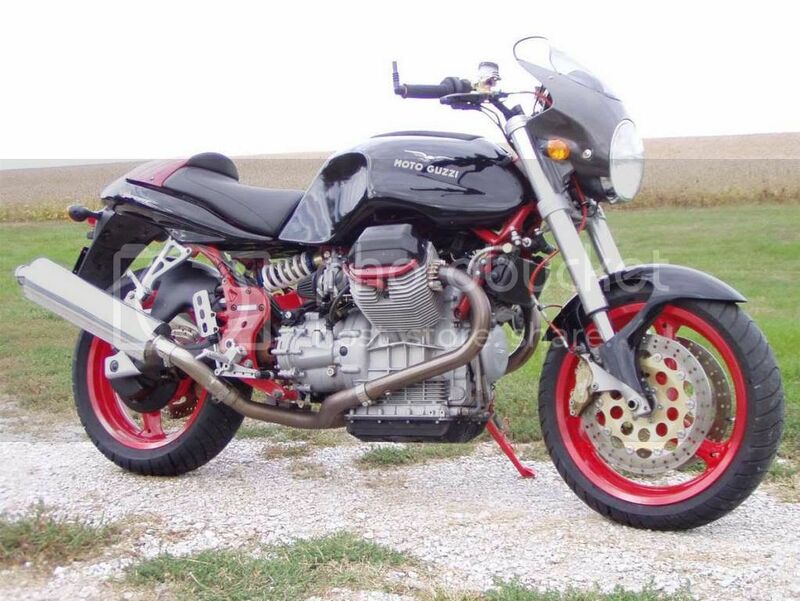 2000 Moto Guzzi V11 Sport. Wheels have been powder coated red. 5 star exhaust (sounds great) power commander, etc. Was wanting a Ducati Monster to replace my Suzuki SV650, but this thing turned up cheap ($2500) and I couldn't resist. By the way it wasn't this clean when I bought it. This photo was after a couple of hours of cleaning. Man,You stole that thing! Looks great .